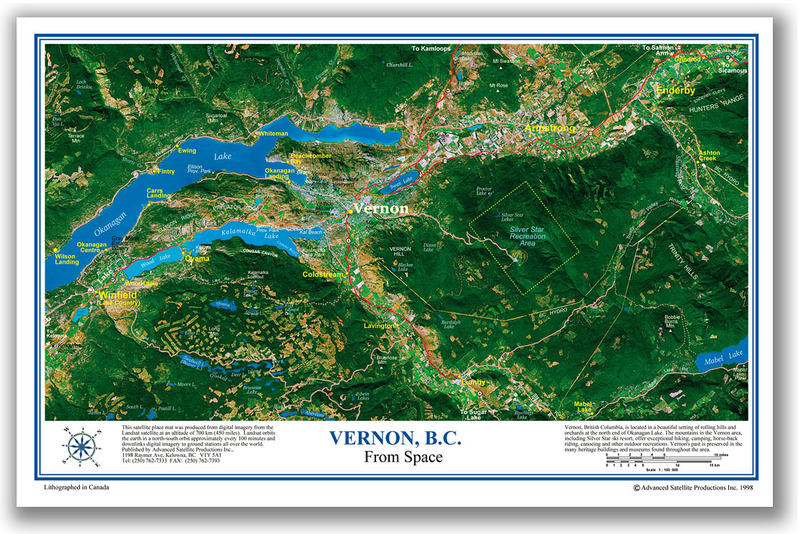 The Vernon Place Map is a place-mat-sized satellite image-map of the northern end of the Okanagan Lake in British Columbia. This image-map of Vernon and environs shows the beauty of the Okanagan Lake and the nearby communities of Armstrong and Enderby. The Vernon Place Map overlaps with the Kelowna and Shuswap Place Maps. The three Okanagan Place Maps, together with the Shuswap Lake Place Map, make an attractive gift set.